Fiesta Fiesta Let's face it: you don't truly welcome Fiesta '16 unless you attend this opening ceremony event. Make sure to buy, sell, and trade all of your shiny Fiesta pins in front of the Alamo grounds during Pin Pandemonium, which kicks off the event at 5pm. Admission is free, so you have no excuse. Fiesta Fiesta The Alamo Let's face it: you don't truly welcome Fiesta '16 unless you attend this opening ceremony event. Make sure to buy, sell, and trade all of your shiny Fiesta pins in front of the Alamo grounds during Pin Pandemonium, which kicks off the event at 5pm. Admission is free, so you have no excuse. Oyster Bake If you've ever wondered how many ways you could eat an oyster in one sitting, this is your jaunt. Eat 'em fried, raw, and… baked, at Oyster Bake. Show up early to find parking -- the event is expected to attract nearly 60,000 attendees. Kevin Fowler and Houston's own Chamillionaire will close the night out on Friday. Oyster Bake St. Mary's Campus If you've ever wondered how many ways you could eat an oyster in one sitting, this is your jaunt. 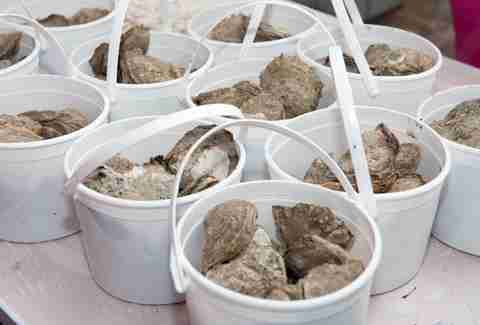 Eat 'em fried, raw, and… baked, at Oyster Bake. Show up early to find parking -- the event is expected to attract nearly 60,000 attendees. Kevin Fowler and Houston's own Chamillionaire will close the night out on Friday. Taste of New Orleans Here are a couple reasons why you should attend this event: gumbo, boudin, crawfish, shrimp etouffee, and red beans & rice. Next to New Orleans, this is the best place to find real deal Cajun food. In addition to good eats, prepare yourself for good zydeco, jazz, and Dixieland music. Taste of New Orleans Sunken Garden Theater Here are a couple reasons why you should attend this event: gumbo, boudin, crawfish, shrimp etouffee, and red beans & rice. Next to New Orleans, this is the best place to find real deal Cajun food. In addition to good eats, prepare yourself for good zydeco, jazz, and Dixieland music. 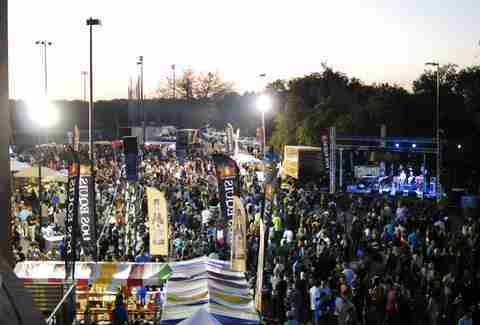 Alamo Heights Night This family-friendly event showcases the best food vendors San Antonio has to offer. From BBQ, to fajitas, to funnel cakes, to burgers, Alamo Heights Night has all foods liable to induce copious amounts of napping. Admission is $12 for adults and $5 for those aged 12-17. Alamo Heights Night University of the Incarnate Word This family-friendly event showcases the best food vendors San Antonio has to offer. From BBQ, to fajitas, to funnel cakes, to burgers, Alamo Heights Night has all foods liable to induce copious amounts of napping. Admission is $12 for adults and $5 for those aged 12-17. El Rey Fido Coronation Dogs will be dressed in funny outfits for the benefit of the San Antonio Humane Society. Don't be heartless. El Rey Fido Coronation Grand Hyatt San Antonio Dogs will be dressed in funny outfits for the benefit of the San Antonio Humane Society. Don't be heartless. Chili Queens Chili Cook-Off Rule of thumb: never turn down an opportunity to attend a chili cook-off inside a nightclub. 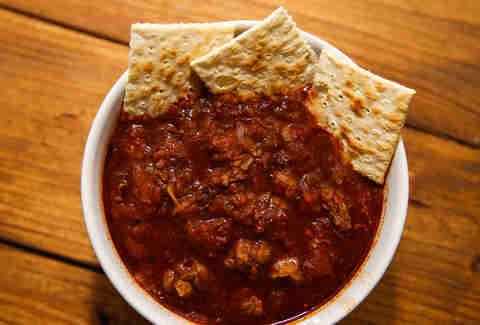 This cook-off will showcase some of the best chili recipes this side of the Mississippi River. Keep in mind the event is for *adults* only. Those under 18 will be denied at the door. Chili Queens Chili Cook-Off Bonham Exchange Rule of thumb: never turn down an opportunity to attend a chili cook-off inside a nightclub. This cook-off will showcase some of the best chili recipes this side of the Mississippi River. Keep in mind the event is for *adults* only. Those under 18 will be denied at the door. Fiesta Mission 10k Run Your dehydrated and hungover body might not want to do this -- but it definitely should. It's not easy to get up and run six miles at 8am the Sunday that follows Oyster Bake, but your body will appreciate it. Sweat that stuff out. Fiesta Mission 10k Run Wheatley Heights Sports Complex Your dehydrated and hungover body might not want to do this -- but it definitely should. It's not easy to get up and run six miles at 8am the Sunday that follows Oyster Bake, but your body will appreciate it. Sweat that stuff out. Night In Old San Antonio More than 250 food & drink vendors will be present at Fiesta's most popular party: A Night In Old San Antonio. NIOSA benefits the San Antonio Conservation Society, whose mission is to rehabilitate historic buildings in our city. Bonus: VIA park and ride is available and will take you to and from the event. Admission is $15 at the gate. 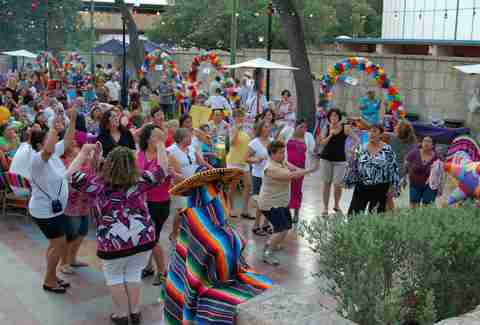 Night In Old San Antonio La Villita More than 250 food & drink vendors will be present at Fiesta's most popular party: A Night In Old San Antonio. NIOSA benefits the San Antonio Conservation Society, whose mission is to rehabilitate historic buildings in our city. Bonus: VIA park and ride is available and will take you to and from the event. Admission is $15 at the gate. Battle of Flowers Parade The second-largest day parade in the country, the Battle of Flowers honors those who fought at the Alamo, and all Texan heritage. If you miss BOF, you miss Fiesta, basically. 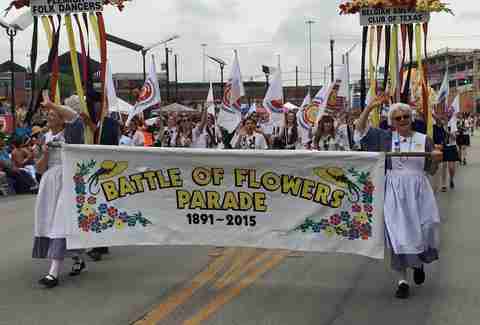 Battle of Flowers Parade Parade Route The second-largest day parade in the country, the Battle of Flowers honors those who fought at the Alamo, and all Texan heritage. If you miss BOF, you miss Fiesta, basically. Flambeau Parade A Fiesta fan favorite, Flambeau will showcase the University of Texas Longhorn Band, as well as local high school marching bands. Be prepared for absolute madness Downtown. Parking will be impossible unless you arrive many hours early. Check out Via Park and Ride for further transportation options. 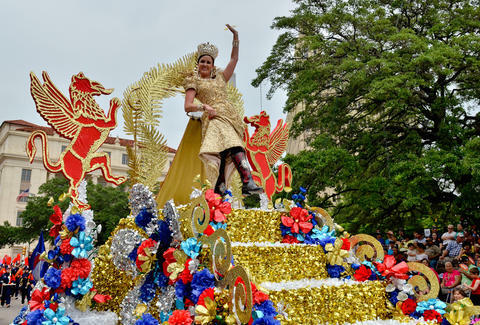 Flambeau Parade Parade Route A Fiesta fan favorite, Flambeau will showcase the University of Texas Longhorn Band, as well as local high school marching bands. Be prepared for absolute madness Downtown. Parking will be impossible unless you arrive many hours early. Check out Via Park and Ride for further transportation options.